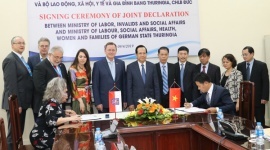 (LĐXH)- A labour inspection campaign has been kicked off on 27 March in Binh Duong Province to promote labour law compliance for the sustainable development of Vietnam’s woodwork industry. 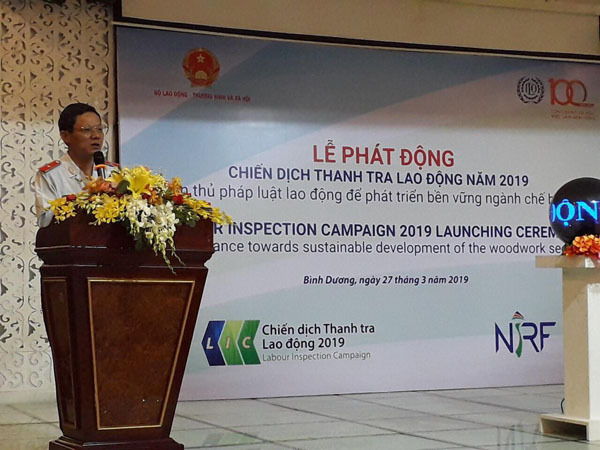 The 2019 labour inspection campaign is conducted by the Ministry of Labour, Invalids and Social Affairs (MoLISA) with support from the ILO through the New Industrial Relations Framework project. 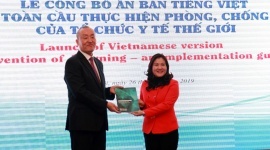 It is also a collaboration effort with the Vietnam General Confederation of Labour, Vietnam Chamber of Commerce and Industry and other wood processing associations. The campaign will involve a mix of inspection activities, trainings, communication and outreach activities that will engage workers and enterprises and raise their awareness of the importance of labour law compliance in the wood processing industry nationwide. The campaign has been designed by the inspectorates using the ILO approach on strategic compliance planning. The topic, scope and interventions of the campaign are based on the inspectorates’ assessment of existing resources and their understanding of the root causes for non-compliance challenges built through an analysis of past reports, surveys and discussions with stakeholders. The inspectorates will also coordinate with stakeholders to monitor and support efforts to solve the non-compliance issues during the campaign period through information sharing and dialogues in the workplace. The woodwork sector employs about 500,000 workers, of which about 40-45 per cent are seasonal unskilled workers. But according to the Ministry of Agriculture and Rural Development, the number of workers could be in the range of millions if taking into account those working in forest plantations. There are numerous challenges in labour law compliance within the sector. Results from inspections in the 2016-2018 period and surveys of wood companies in Dong Nai Province revealed many violations of labour laws and regulations, notably in overtime, labour contracts, unemployment benefits, occupational safety and health, and social insurance. “We recognize that most wood processing companies use outdated technology and unskilled workers, resulting in many limitations in labour law compliance. These violations adversely affect the safety and health of workers, reduce their productivity and the overall competitiveness of the exporting wood processing sector”, said MoLISA Chief Inspector Nguyen Tien Tung. He added that the inspection campaign requires the engagement of all stakeholders within the society, including, but not limited to, labour inspectors, trade unions, companies and the media. 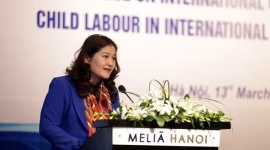 Manager of ILO’s US-funded New Industrial Relations Framework Project, Andrea Prince, noted the significance of Vietnam’s giving priorities to improve working conditions in export-oriented industries such as wood processing. 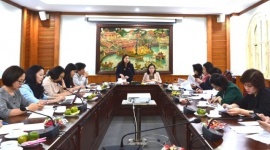 “Decent work is an important condition to ensure that Vietnam is seen as a trusted actor in the global supply chain and the first choice of buyers in a very competitive market,” she said. “Strengthening the strategic approach of the labour inspectorate is a key step to delivering the compliance results that buyers look for and that workers need. Fundamental rights at work, including the right to dialogue, bargaining, equality of treatment, are central to ensuring appropriate living standards for workers and decent work for all, as well as creating the foundation for sustainable growth for the businesses and the national economy”. 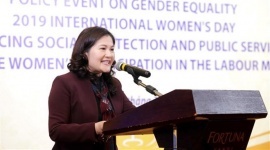 While the inspectorate is a key agency in this effort, she added, the ILO welcomes the fact that the campaign is engaging all stakeholders in this campaign to deliver maximum impact and benefit for all engaged in the sector. Woodwork and forestry is Vietnam’s sixth biggest exporting sector, averaging growth of about 13 per cent annually in the 2010-17 period. In 2017, the sector exported about US8$ billion worth in value. 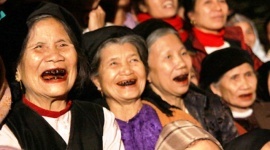 Its five most important markets are the US, China, Japan, the EU and South Korea. The 2019 Labour Inspection Campaign, which will be run until the end of the year, is the fifth one of its kind since 2015. 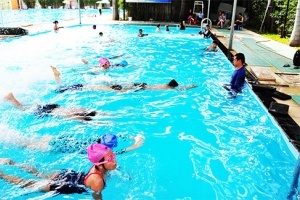 Initiated by ILO and MoLISA, each year, the campaign focuses on promoting compliance in a specific sector.